Dr Jodie Main is a Health Psychologist living and working in North Auckland, New Zealand.. She has been involved in the field of health psychology for 15 years and is an experienced clinician, teacher and researcher. 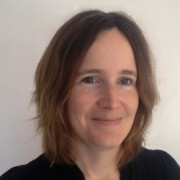 Jodie gained her PhD from the University of Auckland in 2009. She has taught students over a range of disciplines including Psychology, Medicine and Chiropractic. Jodie was a participant in the first Affect Regulation Therapy Level one and Two training (the clinical mental health application of StressAce) for psychologists in Auckland, New Zealand, in 2010. Since that time she has utilised the techniques clinically to great effect and in particular, she has used this method successfully with clients with anxiety due to health trauma, PTSD from domestic abuse, and depression. Jodie conducts educational and personal development StressAce workshops in Auckland, NZ and her sound knowledge of psychology and practical experience in psychological intervention enable her to clearly communicate the key concepts of StressAce to both health professionals and laypersons. Jodie currently divides her time between her psychology practice in Warkworth, offering StressAce consultations and workshops, and caring for her baby daughter Fern.